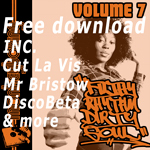 Disco got soul? Who knew. Well we all did really, but where to go for those particularly exotic boogie-tinged vibes? Somewhere where the music the tropical humidity prevades the groove to assist in working up another kind of steaminess. How about Brazil? 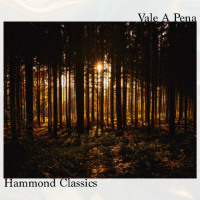 Got to be worth it, as the title – Vale A Pena – of Hammond Classics’ new drop suggests. The title track finds the first of two slo-mo disco loverman cuts get the edit treatment (it’s all about the wah-wah synth) while the even slower-mo Turn You On (emotive strings and yearning English-language male vocal) is practically begging listeners to do the wild thing. Blimey, is it me or is it hot in here? Time to get your slow-dance on!